Both sexes short-winged. Body and legs brown, all tarsi and tips of tibiae yellow also antennal segments II and III; major setae almost hyaline; fore wing lobe shaded around sub-basal setae. Head about as long as wide; eyes directed forwards, smaller ventrally than dorsally; mouth cone much longer than dorsal length of head, reaching across mesopraesternum; maxillary stylets retracted to eyes, close together medially; post ocular setae capitate, shorter than dorsal length of eyes. Antennae 8-segmented; segment III with one sensorium, IV with two sensoria; VIII short and broad at base. Pronotum with five pairs of capitate major setae; epimeral sutures complete; prosternal basantra not developed, ferna present but widely separated, mesopresternum complete but slender medially. Fore tarsus without a tooth. Metanotum with elongate reticulation medially, median setae capitate. Fore wing lobe shorter than width of thorax, with three capitate sub-basal setae sub-equal in length. Tergites each with only one pair of wing retaining setae; tergite IX setae S1 and S2 bluntly rounded, shorter than tube. 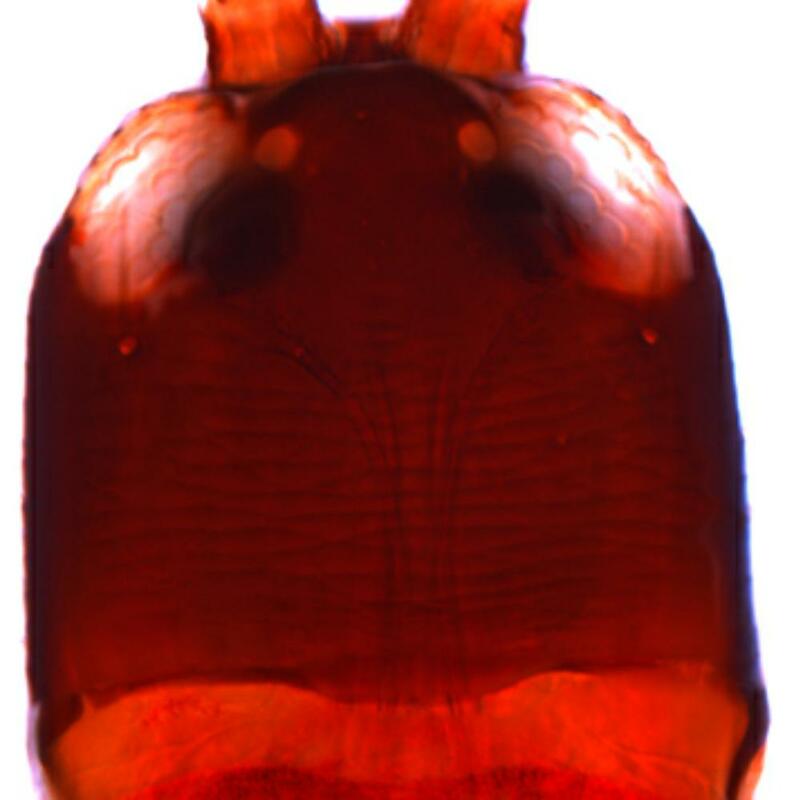 Male similar and varying in size, with no fore tarsal tooth; tergite IX setae S2 short and bluntly pointed; sternite VIII with large pore plate. This species was described from a total of 11 females and 8 males, collected in five different counties of California. Although described in Rhynchothrips, and subsequently placed in Liothrips, this species is here transferred to the genus Hoplothrips. Unlike most species of Liothrips the males have a glandular area on the eighth sternite, and there are only two sensoria on the fourth antennal segment instead of three. 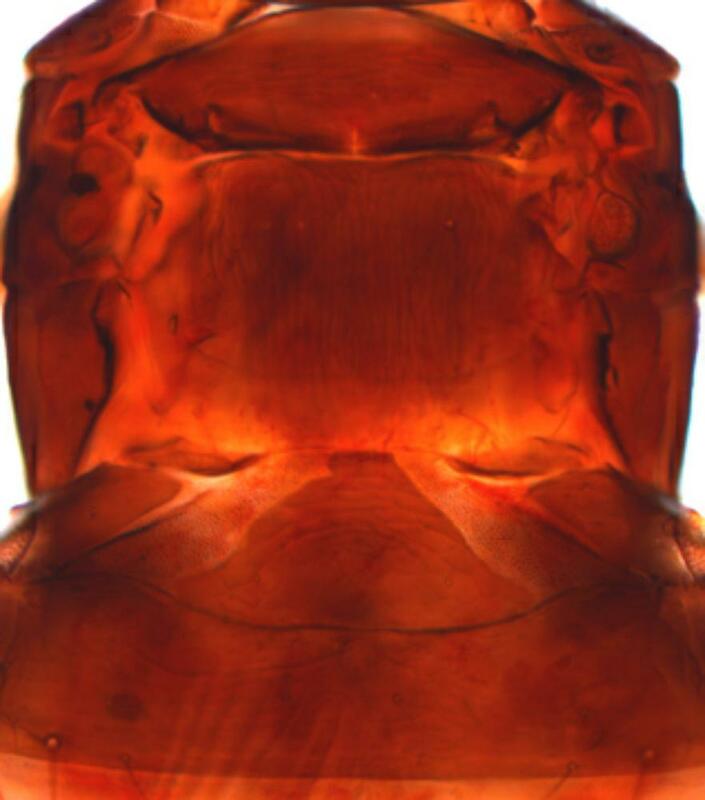 H. cunctans has the mouth cone exceptionally long, projecting backwards between the fore coxae across the mesosternum. 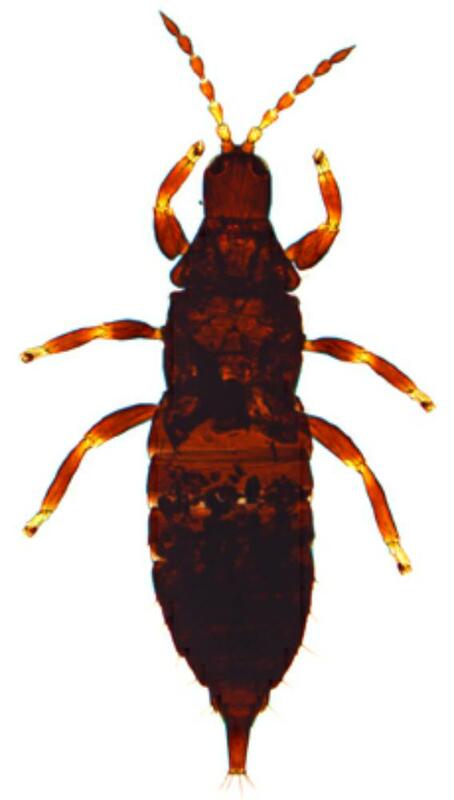 This species is known only from short winged adults and bright red larvae, taken under bark on willow trees, and also by beating dead willow and oak tree branches; it thus probably feeds on fungus like other members of this genus. Species in the genus Hoplothrips frequently exhibit considerable sexual dimorphism, males varying in size with some structural characters being allometric, and many species produce winged and wingless morphs. As a result, it is difficult to identify many of the 130 species from around the world that are listed in the genus, as many are known only from few specimens, and there are no identification keys. Breeding under bark and on dead branches. Presumably fungus-feeding, on dead Salix and Quercus branches.